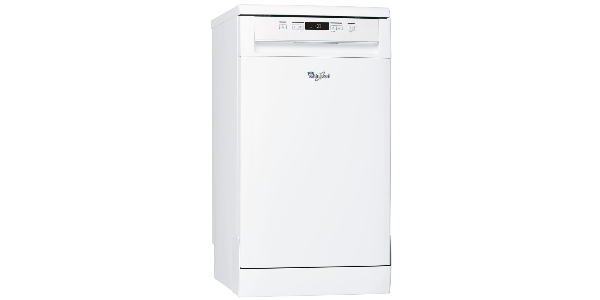 It is by no means the most advanced slimline dishwasher that you will find, but the Whirlpool ADP301WHUK performs well and it is easy to use. It also offers some good loading options and a nice range of programs. This model should appeal to buyers that are looking for good cleaning performance from a reasonably priced dishwasher. As an integrated slimline dishwasher that offers good cleaning results at an affordable price, the Whirlpool ADP301WHUK is a good value. It may not have the widest range of features, but it performs well on all of the basics, and it is a good machine. Along with that, this model also provides decent efficiency on both electricity and water, so that helps to add to the value.Being a slimline machine, you have to have reasonable expectations concerning the capacity of the ADG211UK from Whirlpool. That said, it has a smart interior layout that does offer the user some good options. It has folding racks that add some versatility to the interior, and you have adjustable tip up compartments in the top rack. The top basket is also height-adjustable, and you can even remove the top basket if you need to fit in an item that is particularly large or awkward. This integrated slimline machine also offers some good washing options. The selection of six wash programs should be enough to meet the needs of most homes, and it is a good selection that offers some versatility. Among the range of programs, you have normal, intensive, eco, rapid, pre-rinse and delicate. Most users should be satisfied with the cleaning results that they get form this machine. It delivers good performance, and the wash times are not too long. Compared to most modern dishwashers, the wash times are about average. In other words, it is not particularly fast, but it is also not going to take too long for your dishes to get cleaned. If you are looking for a bunch of high-tech features, this is probably not the machine for you. While it does have all of the programs that you could need, it has absolutely no added features. You do not get a speed up feature to cut the cycle times, and it does not have anything like an intensive zone or a hygiene feature. This model does not even have a delay start timer, which is a very common option on modern dishwashers. While the lack of features might be a negative for some buyers, it does help to make this one of the easiest dishwashers to operate. It is just a single button for selecting the program, and all you have to do is press the button until the corresponding indicator lights up for the program that you want. It does not have a display, but you do get indicators for low salt and low rinse aid.